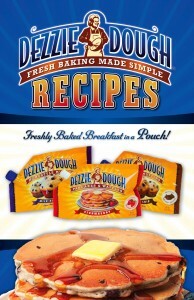 This is what Dezzie had to say: Due to an unprecedented demand for the printed edition of our Dezzie Dough Recipe Book, we have decided to offer an eBook download so that you can get baking right away! Click here to access a PDF file that is suitable for printing. YAY! I love downloadable recipe books!